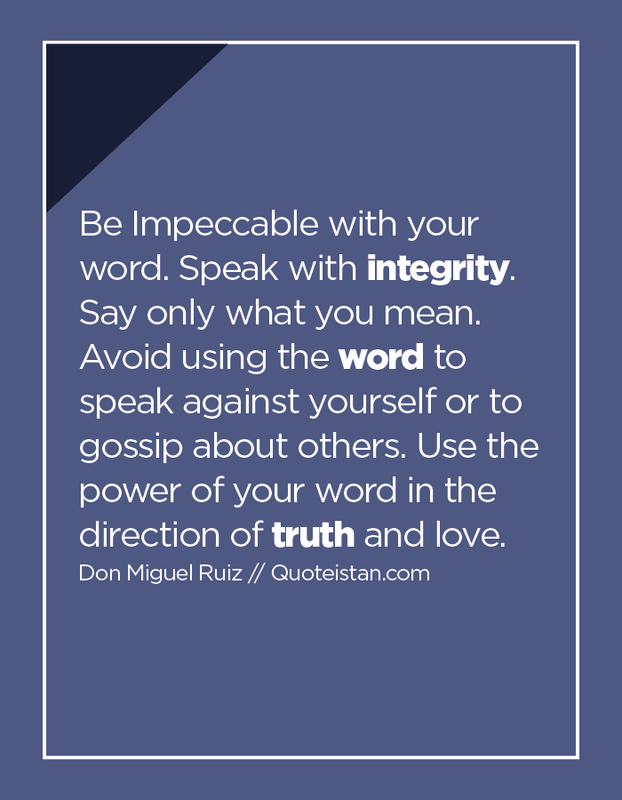 Be Impeccable with your word. Speak with #integrity. Say only what you mean. Avoid using the #word to speak against yourself or to gossip about others. Use the power of your word in the direction of truth and love.